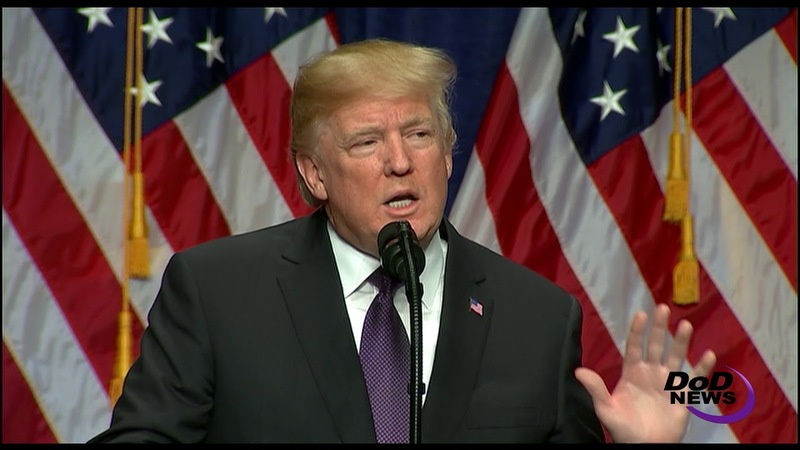 President Donald J. Trump today announced a new national security strategy rooted in a whole-of-government approach that stresses the economic might of the United States. In a written statement, Defense Secretary James N. Mattis called the strategy "clear and comprehensive." "As the world's most lethal armed force, the men and women of the United States military ensure our diplomats always speak from a position of strength," he said. "Supported by our allies and partners, we will continue to defend our common security interests as we protect America from those seeking to threaten the freedoms we enjoy." Trump announced the new strategy during a speech at the Reagan Building near the White House. The national security strategy sets the stage for the national defense strategy and the national military strategy. In addition to the military aspect of national security, the new strategy includes homeland defense, border security, trade policy and economic strength. Still, military power does play a part, and the president noted the $700 billion National Defense Authorization Act he signed last week. Trump also spoke about specific threats such as Iran, North Korea, Russia and China, and he touted efforts against the Islamic State of Iraq and Syria. In addition, the strategy also calls on America to confront, discredit and defeat radical Islamic terrorism and ideology, and to prevent it from spreading into the United States. “We will develop new ways to counter those who use new domains, such as cyber and social media, to attack our nation or threaten our society,” he said. Trump said the strategy calls for a total military modernization, and reversing previous decisions to shrink the force. 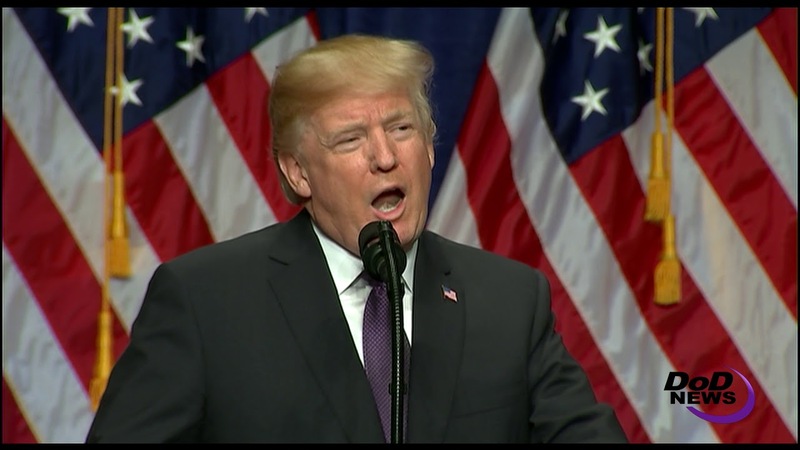 “It calls for streamlining acquisition, eliminating bloated bureaucracy, and massively building up our military, which has the fundamental side benefit of creating millions and millions of jobs,” he added. The United States values strong alliances and partnerships, based on cooperation and reciprocity, the president said. “We will make new partnerships with those who share our goals and make common interests into a common cause,” he added.